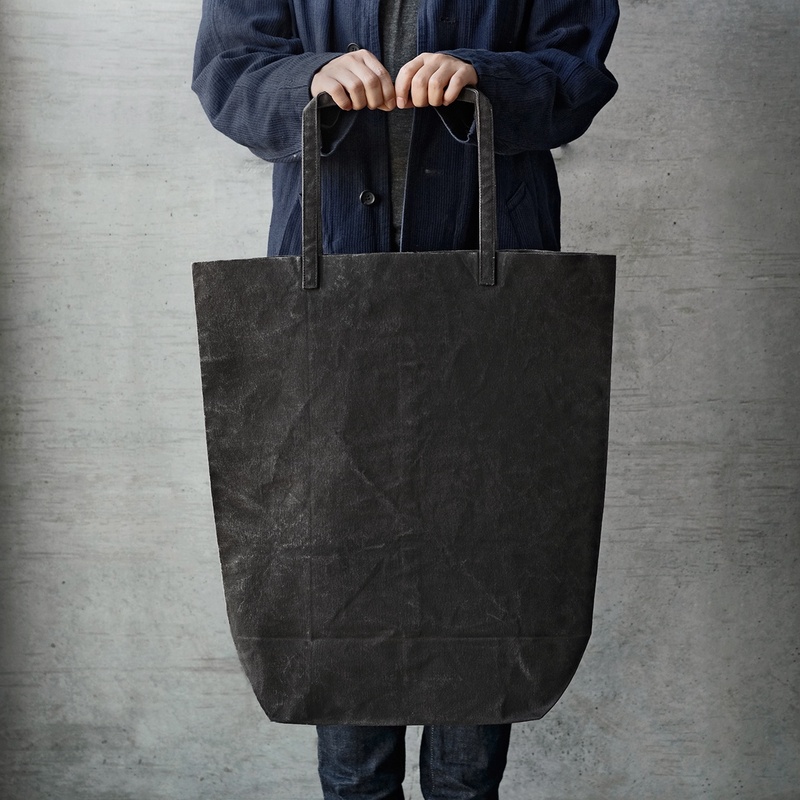 Kazumi Takigawa's original line of dyed and waxed canvas bags took their inspiration from the plain brown paper bag. Wanting to mimic the look of ordinary brown paper bag while creating something re-usable and long lasting Takigawa's experiments led her to a process that includes a traditional dyeing technique and the use of tea and coffee as dyes. 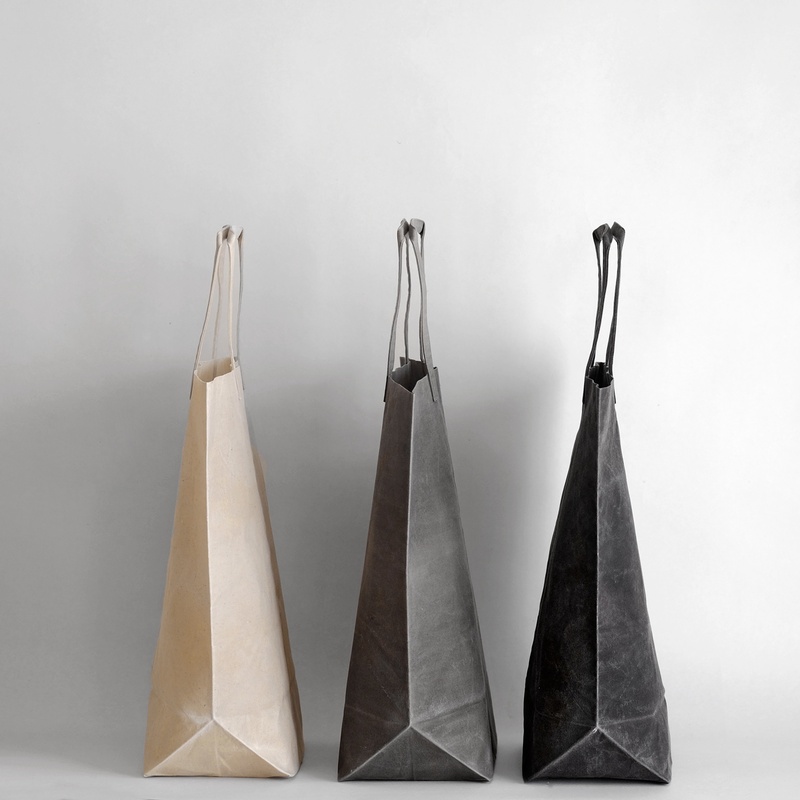 Takigawa has expanded the line up to include these grey toned bags dyed with tea and iron and finished with her usual wax treatment. 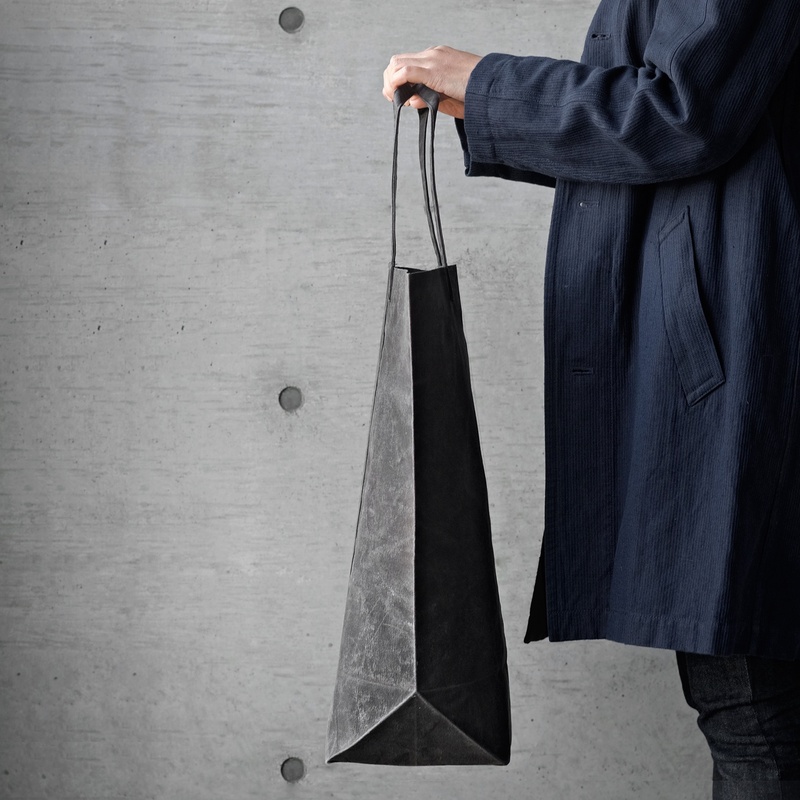 *The tone of the bags can vary from batch to batch from a cool grey to a warmer grey.